wear resistant ceramic trapezoidal tile widely used as pipe tile liner, it can effectively protect industry equipment from abrasion damage. Chemshun wear resistant ceramic tube pipe tile liner is of wear resistance , impact resisting, easy operation, etc., is ideal surface abrasion resistant material of bulk material transfer equipment in iron & steel works, thermal & power plants, port and terminals , cement. 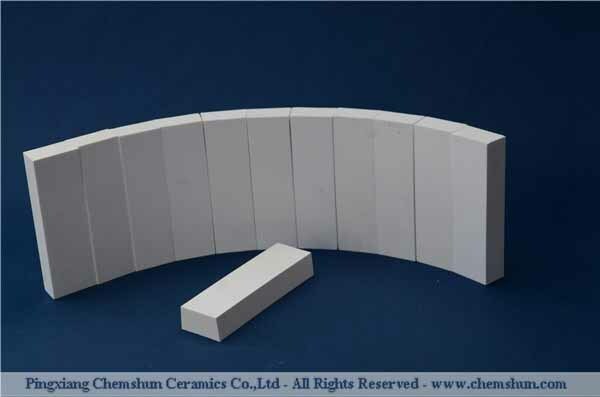 Alumina Ceramic curved plate and trapezoidal taper tile fabricated as pipe linings for its radian and angle specially designed , best choice of cyclone , bend pipe, orifice , transition , inner cone ect equipment. 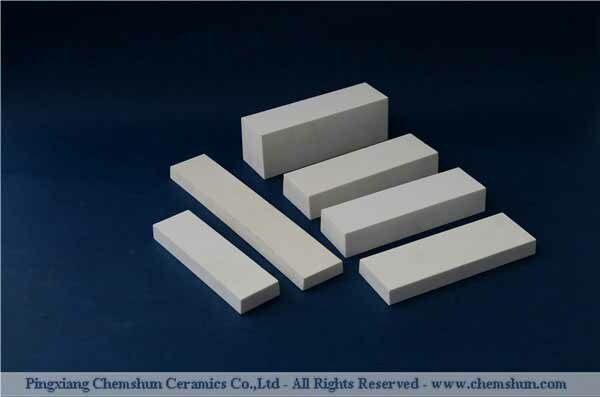 Chemshun can offer engineering ceramics and pre-fabricated ceramics lined equipment for customer’s abrasion resistant project drawings .